This entry was posted in life, mental illness and tagged antidepressants, depression, lexapro, life, mental health, mental illness, personal, personality, psychiatry, psychology by Miri. Bookmark the permalink. This is really similar to what I’ve experienced – and expressed more clearly than I could have. None of my “normal” friends seem to understand the constant problems I have with CVS, but what with constant dosage changes and SSRI swapping, I’m at the pharmacy a lot more than they have to be. For me, Lexapro will always elicit shudders. After I failed to respond to Prozac in the fall of 2009, my psychiatrist switched me to Lexapro – and my world fell apart 3 weeks later. I ended up pulling a stunt everyone around me would call a suicide attempt. I know I had problems a lot more serious than a bad reaction to a drug, but it seemed like the sudden chemical mixup in my brain made everything that much worse. Anyway, best of luck to you in stopping your meds. I wish I could say that I’ll soon be doing the same. I’m sorry to hear your experience with Lexapro sucked that much…unfortunately, depending on how old you were at the time, that might have something to do with that whole phenomenon where certain types of antidepressants actually cause suicidality in young people. Basically, as I said…lots and lots of problems with psychiatry. I hope all goes well for you, too. I found it amusing that you post about going off your Lexapro the week I decide to return to Wellbutrin. Not that I’m saying anything about your choice. I commend your decision to take a big, often scary step to improve your life and hope that it means a more happy and healthy experience for you. That said, I would recommend one small thing (as much as I’m capable of recommending): Redouble your mindfulness of your mental health. 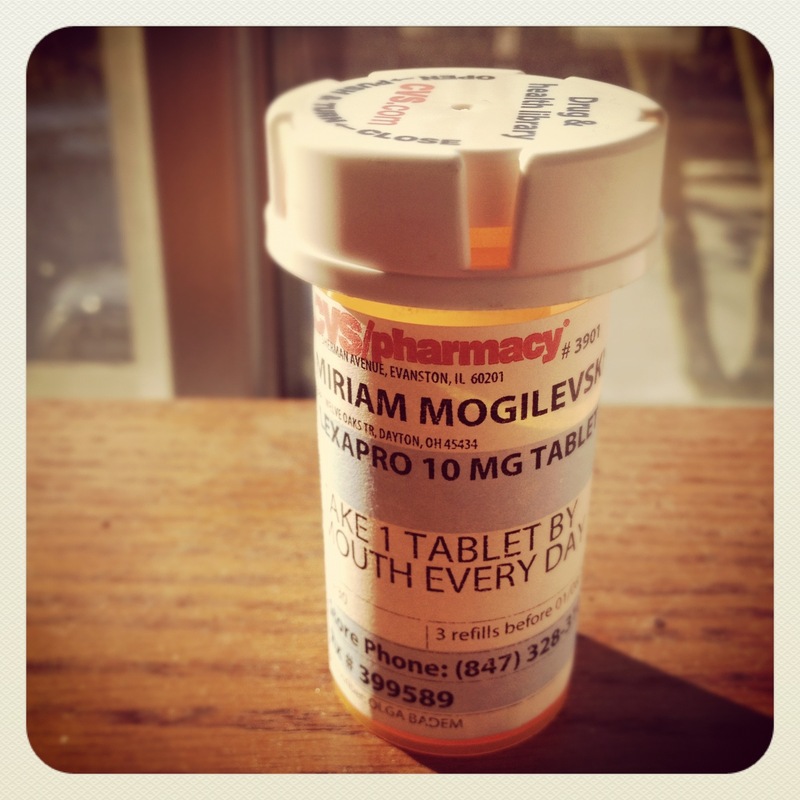 I am returning to medication at the bottom of a four-month, incremental slide, not because of any major problem. It’s possible I might have done better if I’d noticed that the sine wave of my mood, motivation, and functionality was gradually trending downwards instead of staying somewhat stable. Thanks again for sharing your experiences with us. Thank you for the advice, Patches. I agree that mindfulness is really important here. I’m probably going to start seeing a counselor on campus just so that I have someone to check in with every week and make sure that everything’s still okay. Also, best of luck to you and I hope you feel better soon. Good luck to you. I hope everything works out the way it should. Kudos on the multivitamin- I should look into that. Take care of yourself.